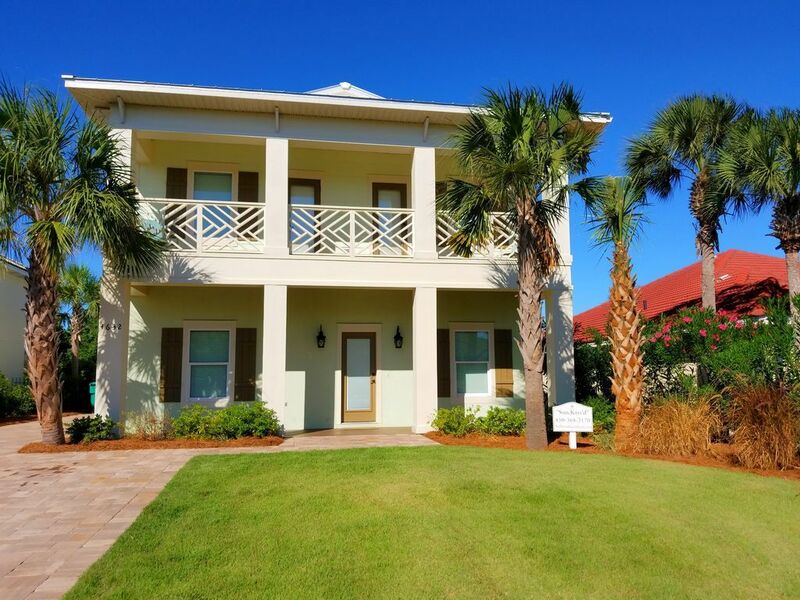 This brand new 7 Bedroom, 6 Bath home will provide you with the perfect Destin experience! 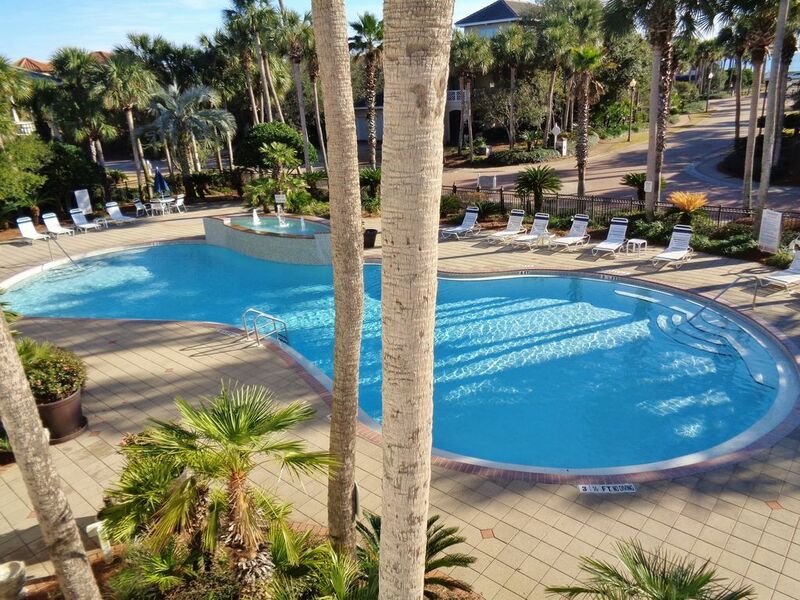 Bring your friends and family here for what’s sure to be a memory-filled vacation. 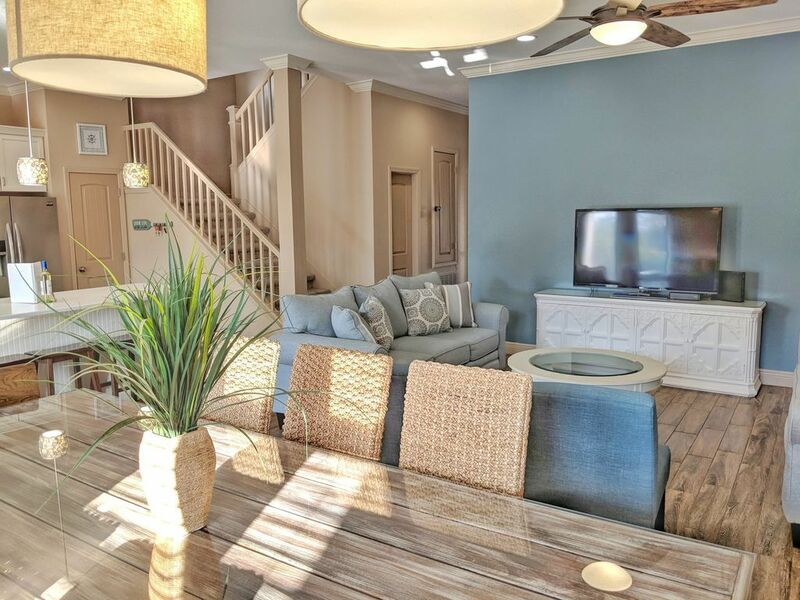 This home puts a twist on the phrase “contemporary beach house.” Each room is comfortable and spacious with its own custom style. 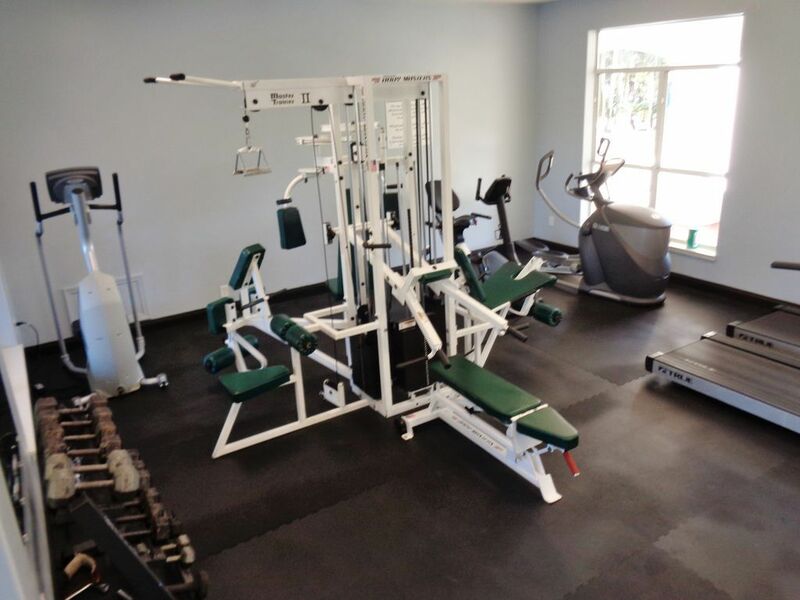 The home is located in an upscale, private gated community right off the scenic beach highway. 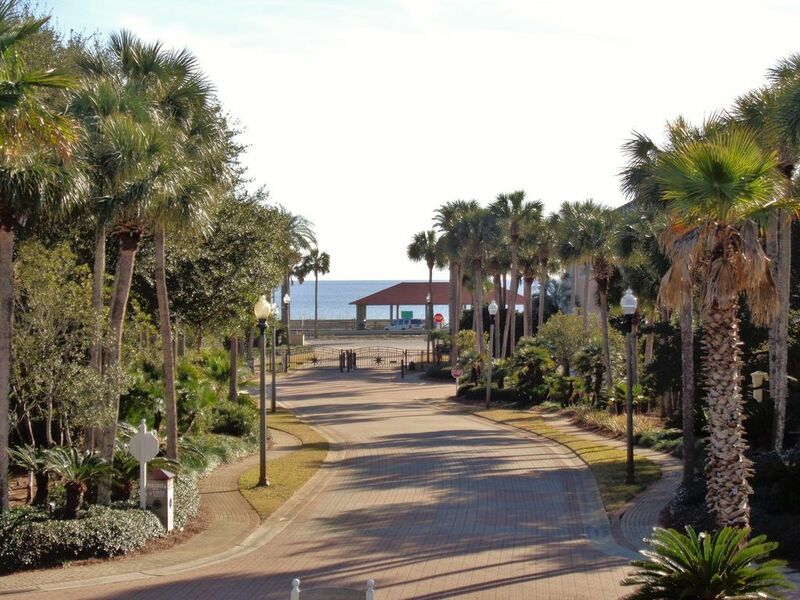 The community is right across from the Crab Trap beach access and restaurant! Between the fully equipped kitchen, the grill out back, the private heated pool, golf cart, community pool and hot tub, fitness center, tennis and basketball courts…… You won’t be missing anything you need to make this the best vacation ever! 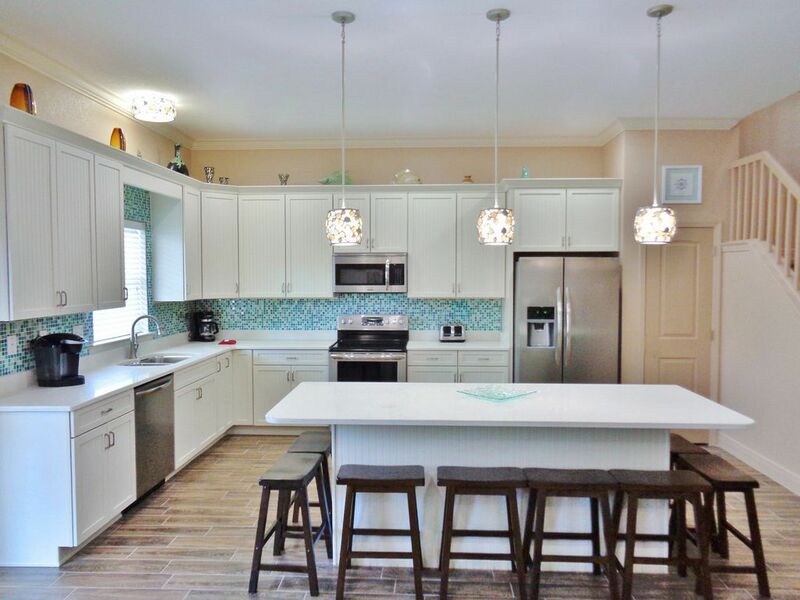 KITCHEN: This contemporary cottage style kitchen is fully equipped and features quartz counter tops and stainless steel appliances. 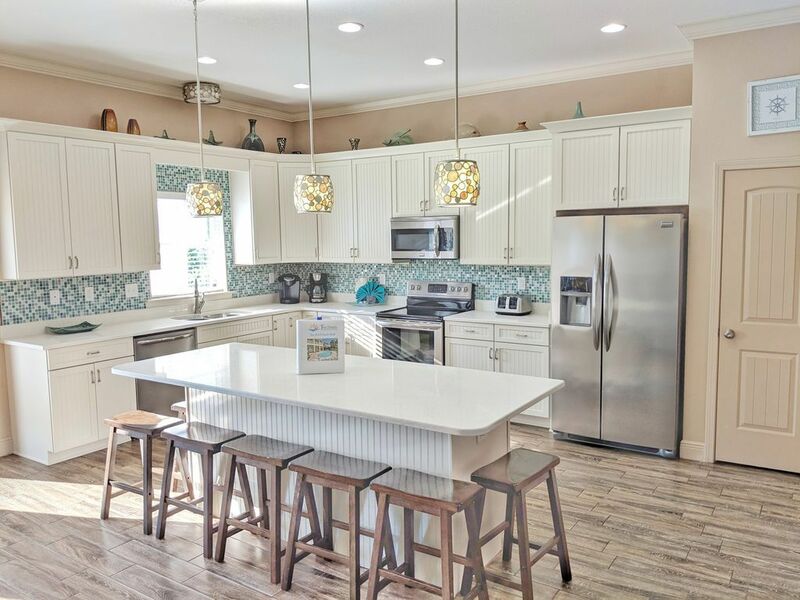 Prepare your favorite meal on the center island bar while you chat with family. 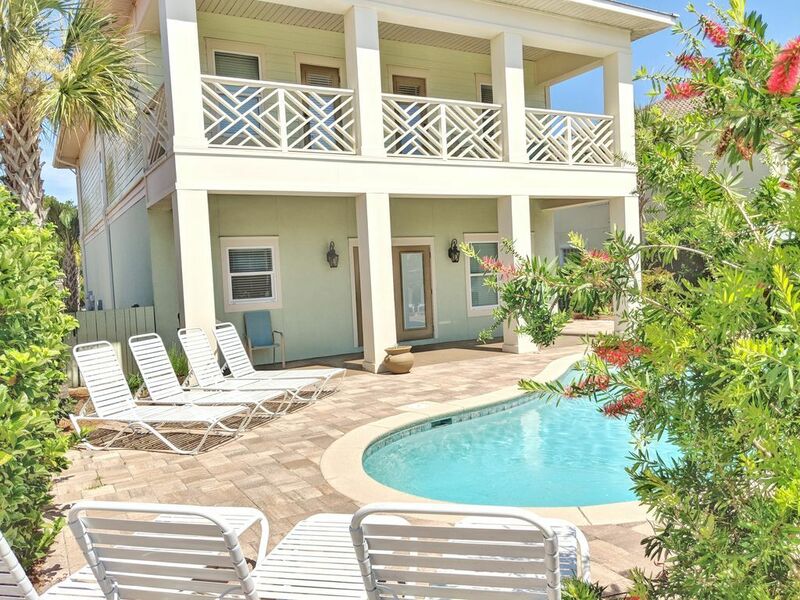 You’ll also have a perfect view of the television in the living room, and the kids in the pool out back. DINING ROOM: The dining room is located right across from the kitchen, and adjacent to the living room. 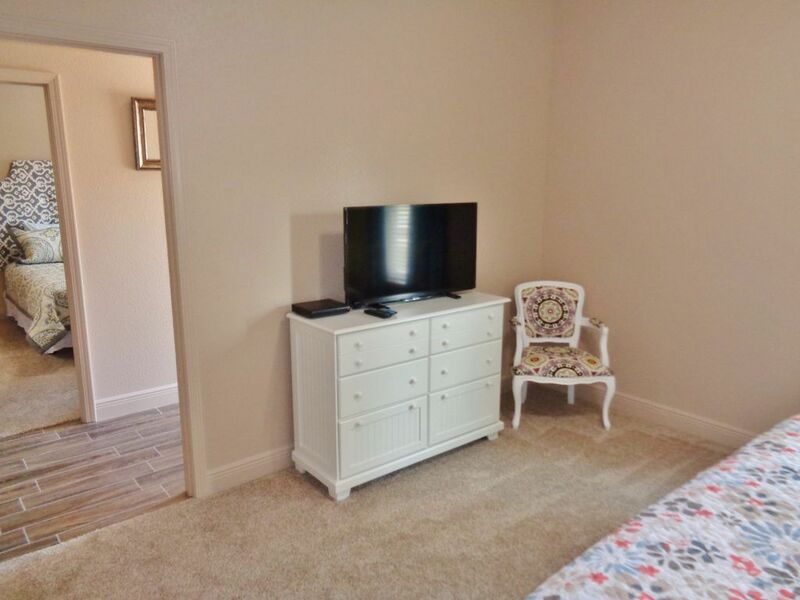 It has a front row view of the backyard pool, and also a view of the television. 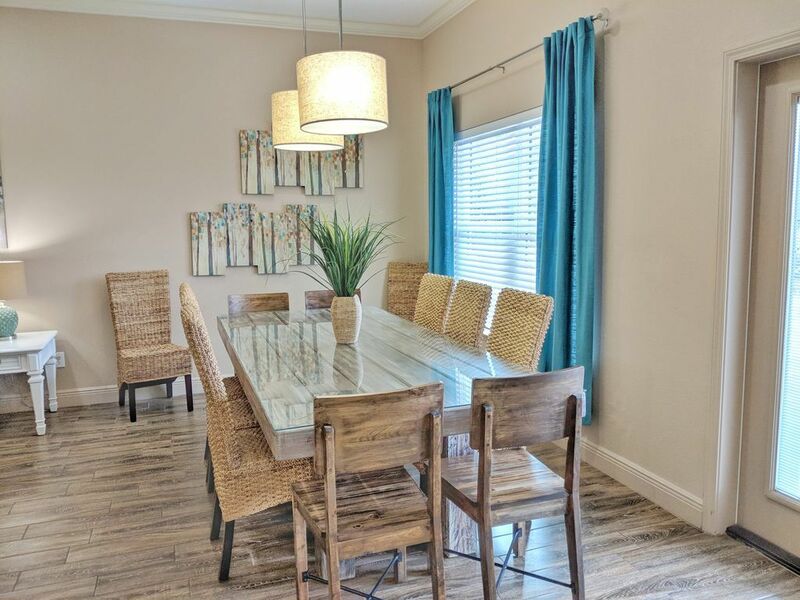 It features a large, custom built table. 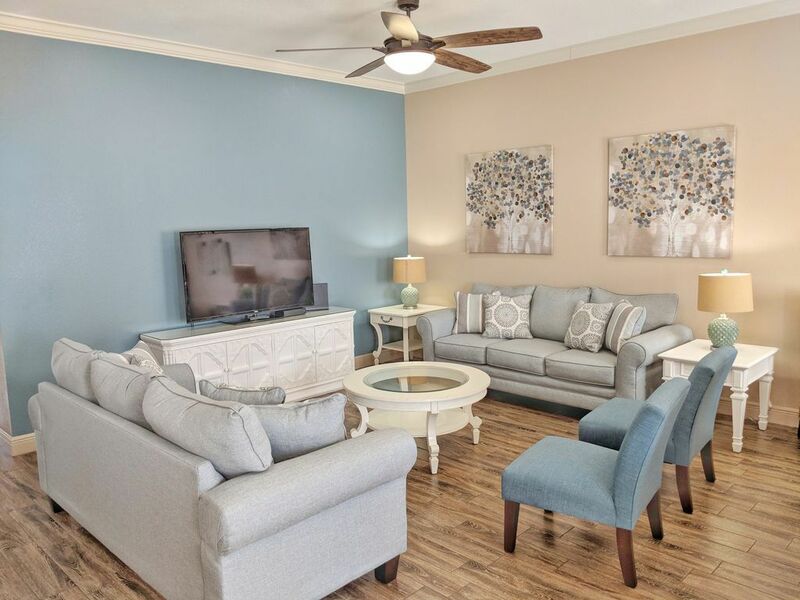 LIVING ROOM: This cozy living room is the perfect place for you to watch the newest episode of your favorite show while still being a part of the family! Whether you’re cuddling on the couch, eating in the dining room, or cooking in the kitchen you’ll be able to see the 55” flat screen perfectly. 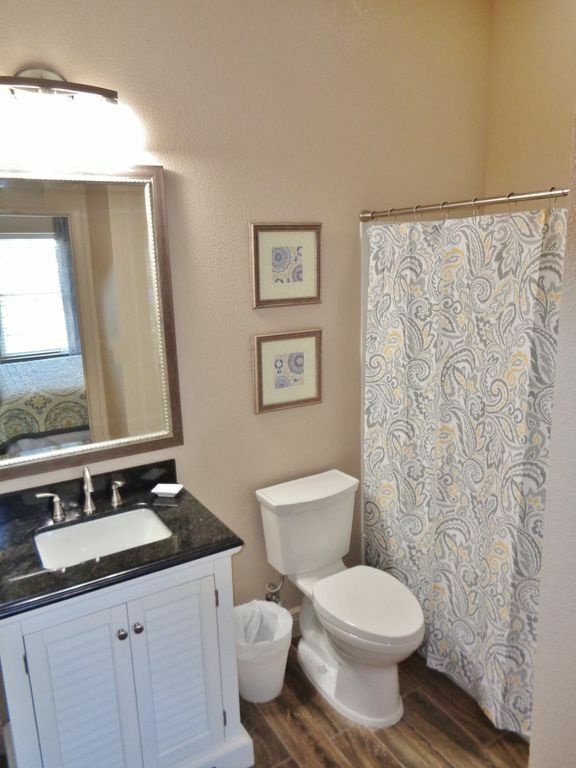 HALF BATH: This bathroom is located on the first floor off the main hallway for a quick wash up before dinner. 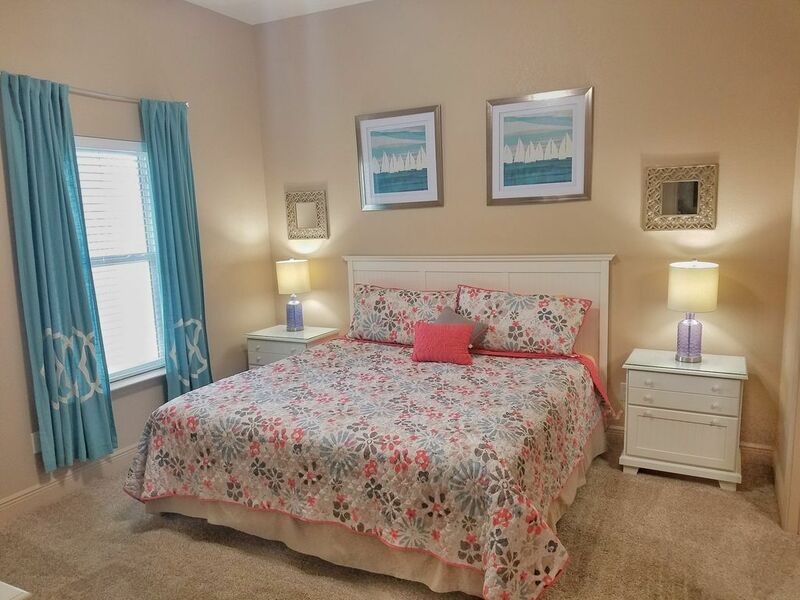 FIRST BEDROOM: This comfy bedroom is on the first floor to the right when you walk in the front door. It includes a king size bed and a flat screen tv with DVD. 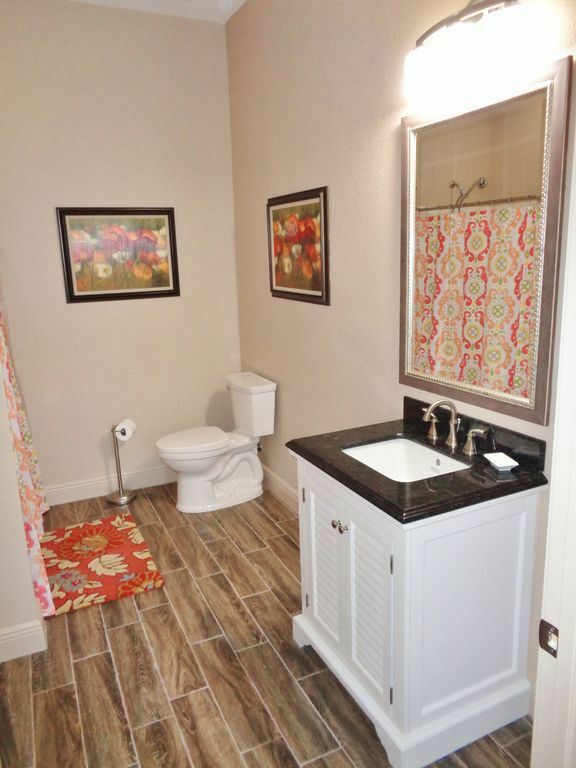 It also has its own private bathroom featuring a shower/bath tub combination. SECOND BEDROOM: Located to the left, across from bedroom #1. 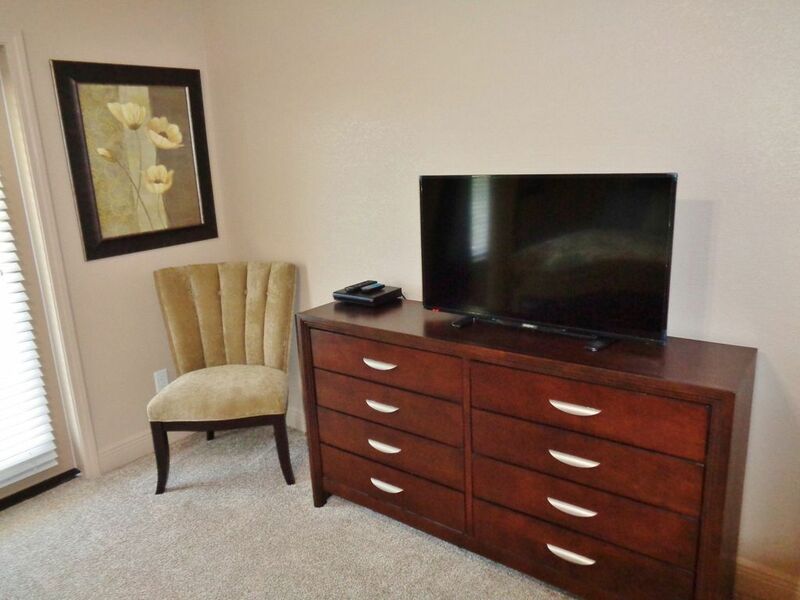 This bedroom features a king sized bed, flat screen, and DVD. 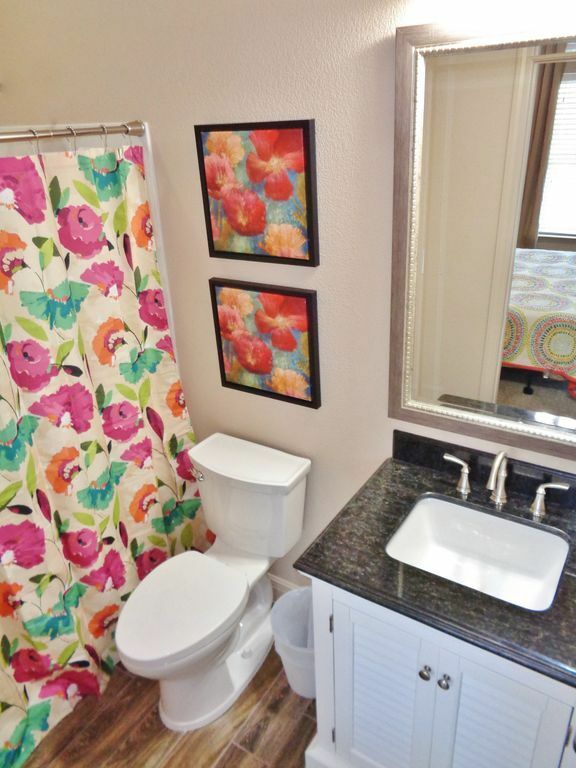 It has its own spacious, private bathroom that is handicap accessible, with a stand up shower. THIRD BEDROOM: Up the stairs and to the right you have bedroom number three. 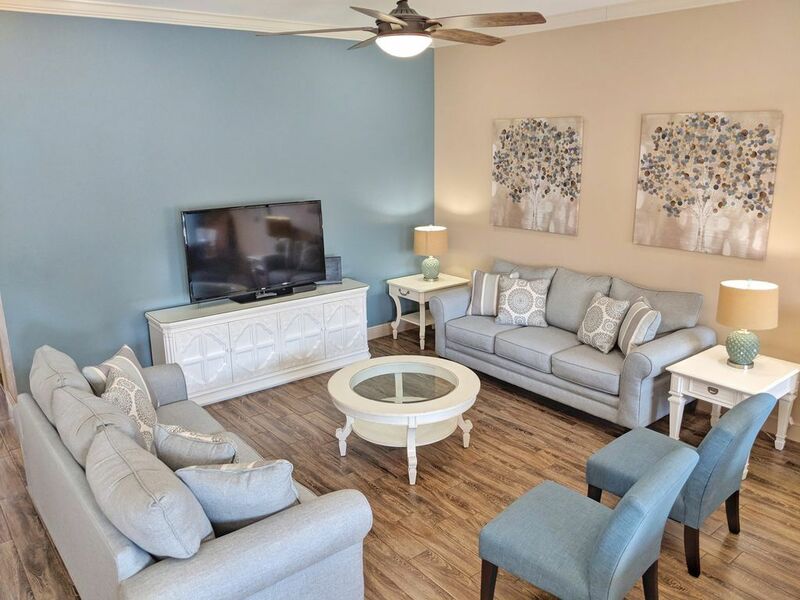 Not only will you have a king bed, flat screen, DVD player, and your own private bathroom with a stand up shower…..You will also have access to the full balcony that runs along the backside of the home! 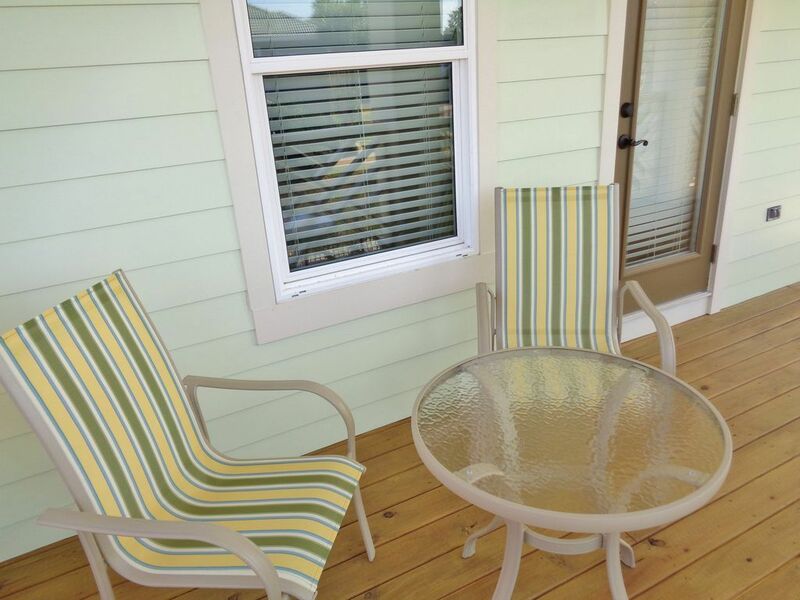 This balcony will offer you with a view of the backyard and pool, as well as the beautiful scenery of the lake behind the house! 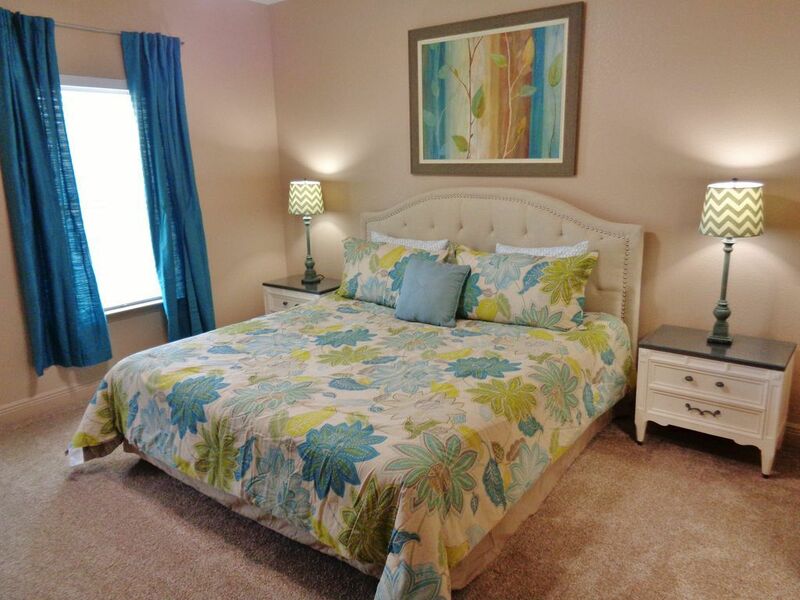 FOURTH BEDROOM: This room is adjacent to room #3, in the back of the home. But rather than calling this a bedroom, it would be more appropriate to call it a hangout zone! 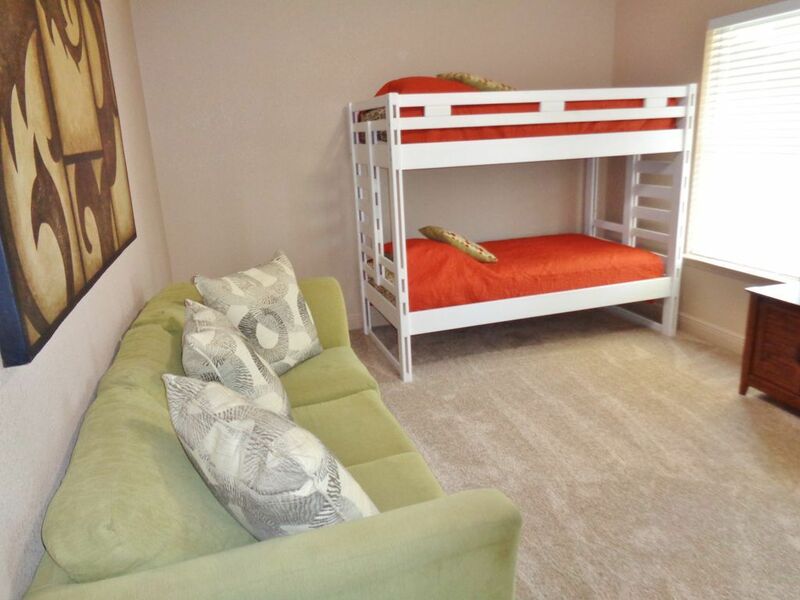 Yes, there will be a twin over twin bunk bed and blow up mattress…..but there will also be a couch and chairs to chill on while watching tv on the flat screen! The “hangout zone” also has access to the back balcony and lake views. FIFTH BEDROOM: Right at the top of the stairs you’ll see room #5. 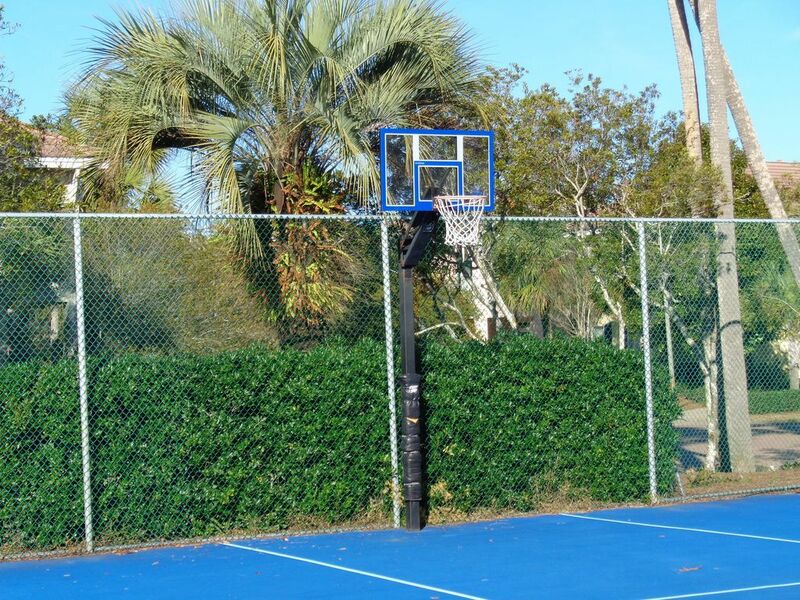 This is the official kid’s zone. 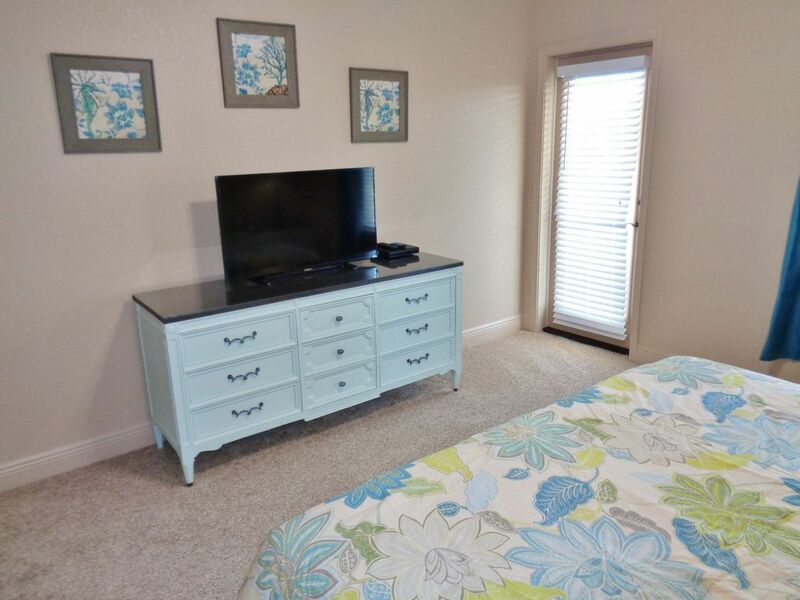 It features two twin over full bunk beds, a flat screen, and DVD for all for your favorite cartoons! It has access to the jack-and-jill bathroom shared with room #6. 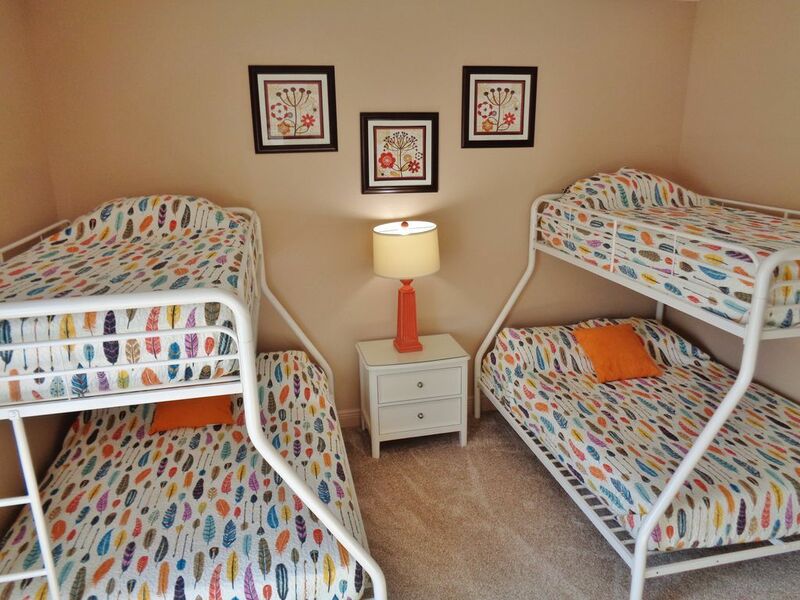 JACK-AND-JILL BATH: This spacious bathroom is shared between the kids bunk room and a king suite. 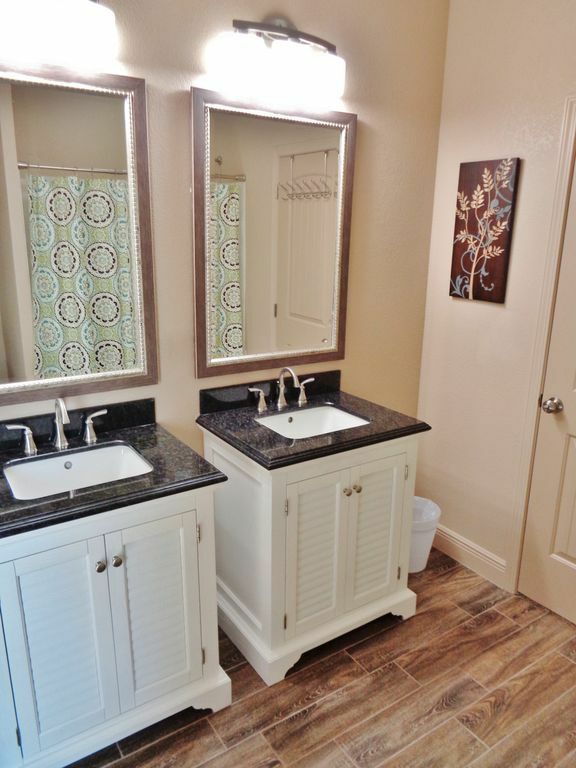 It has two vanities and a tub/shower combination if you feel like soaking after a hard day of play! 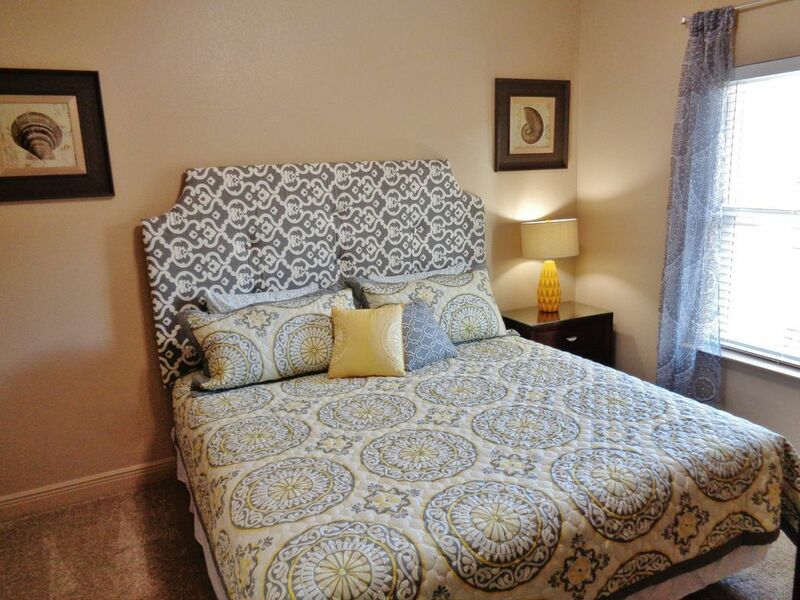 SIXTH BEDROOM: This bedroom is located in the front left corner of the home. 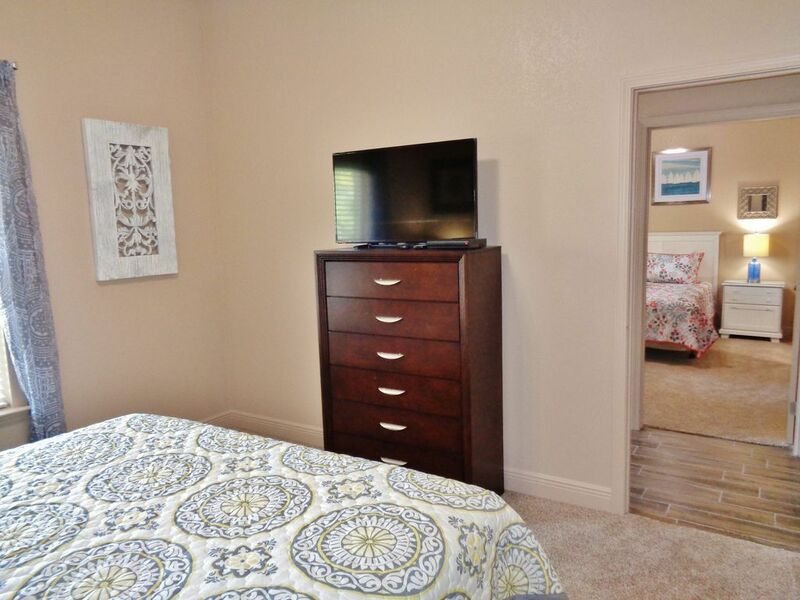 It includes a king size bed, flat screen, DVD, and access to the large balcony off the front of the home! 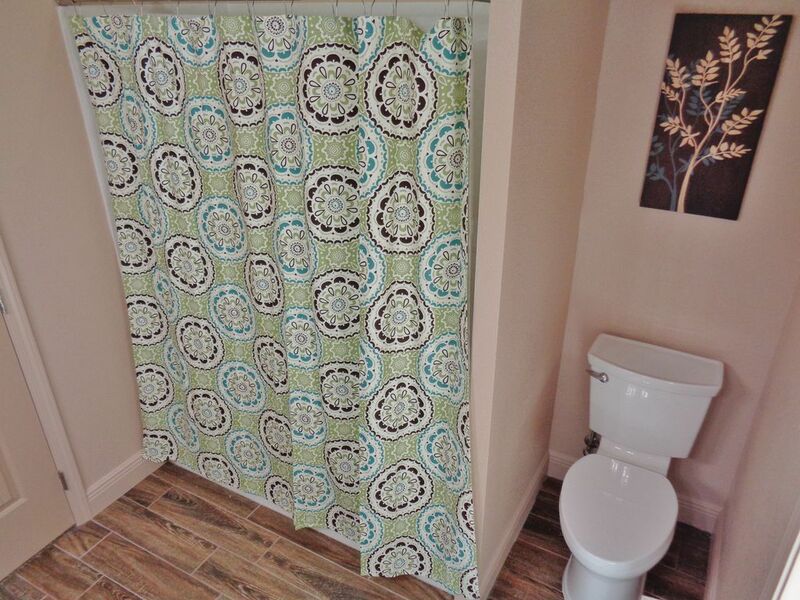 It shares the Jack-and-Jill bathroom with the kids bunk room. 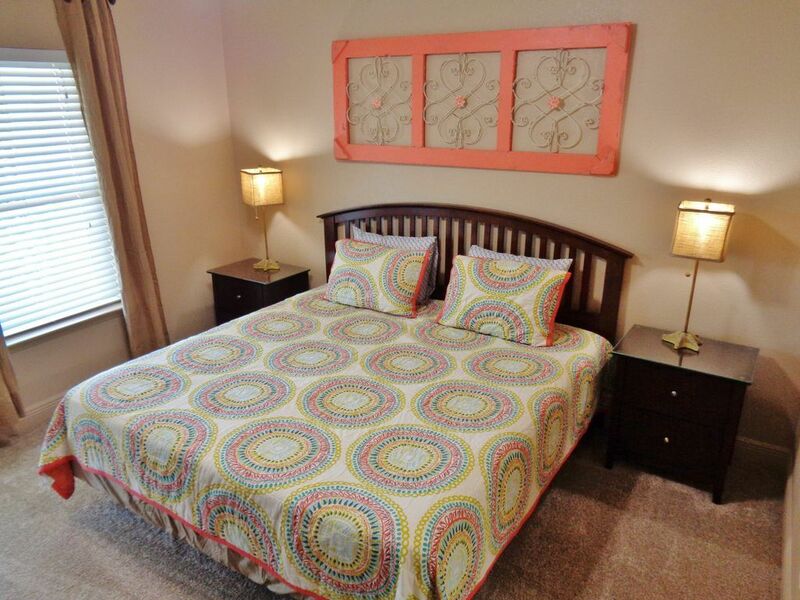 SEVENTH BEDROOM: Adjacent to room #6, this bedroom is located in the front right corner of the home. 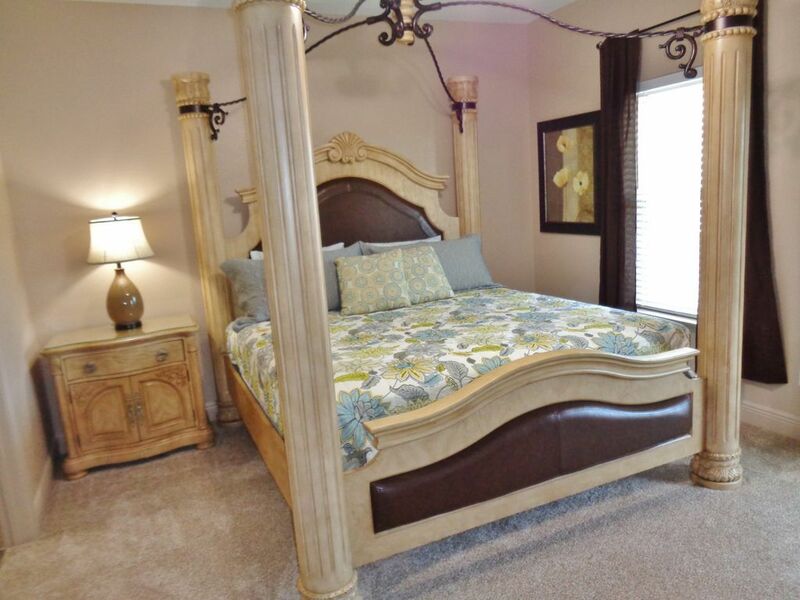 Watch tv on the flat screen like royalty while you relax on the king sized canopy bed! 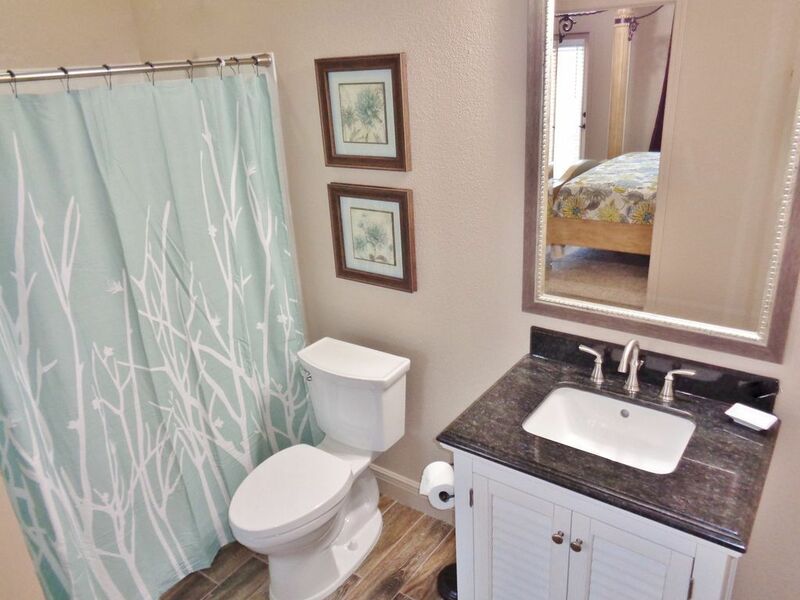 You’ll have your own private bathroom with a stand up shower, as well access to the front balcony. 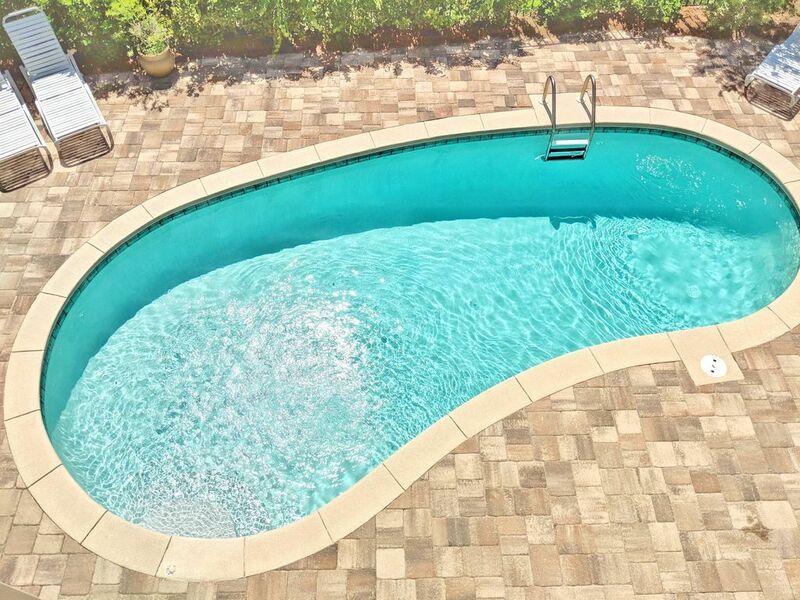 BACKYARD: Cool off in the private pool, or enjoy a relaxing late night swim once the kids are in bed. 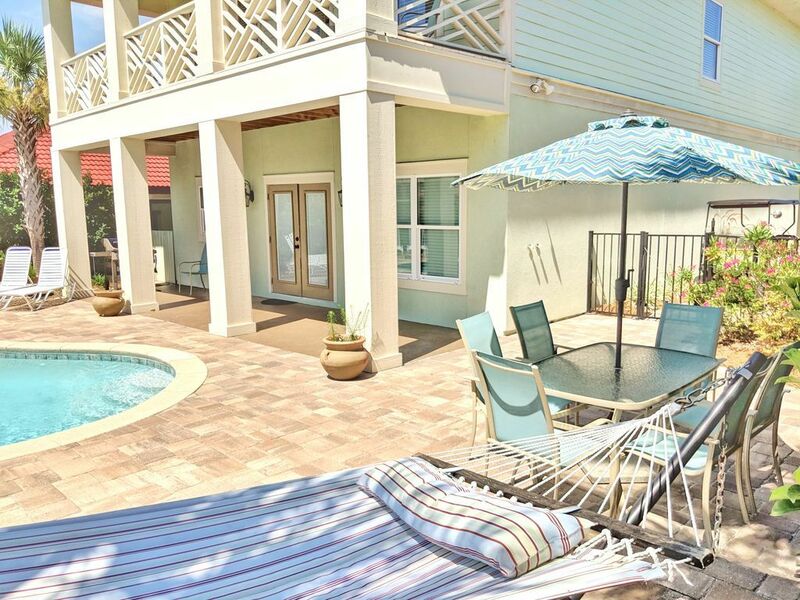 Tan in the lounge chairs with a good book, or chill at the outdoor table under the umbrella. 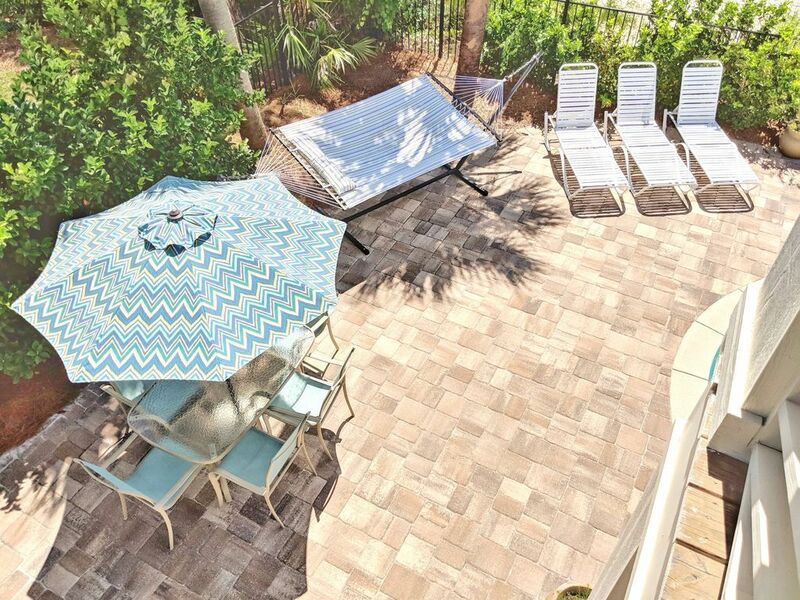 A Weber gas grill is provided for our guests and the pool can also be heated in the winter months. And don’t forget to take a nap under the shade of the palms on the hammock! 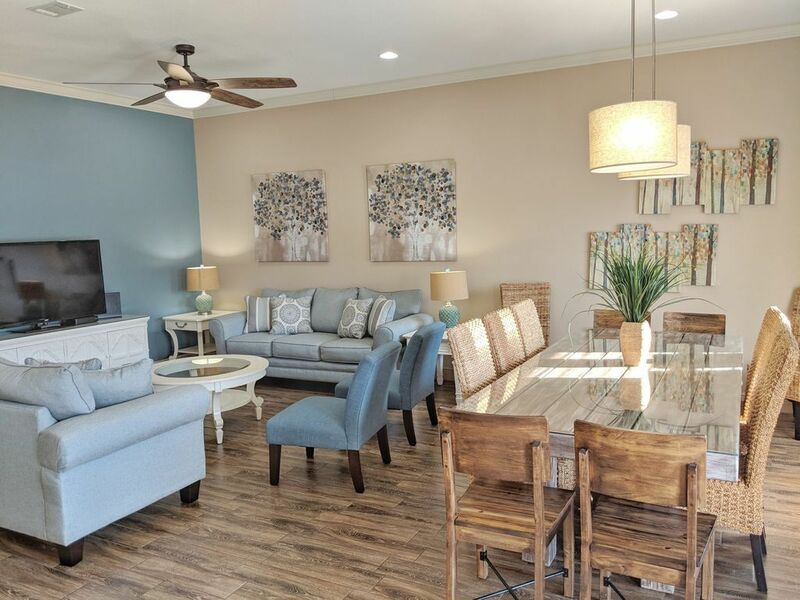 We are individual owners, advertising on HOMEAWAY, We own our own homes and HA does not hold our reservations, they keep track of them for convenience, but is merely a middle man. Payment comes to us and your booking will be held by us. HA has no control over your reservation or our homes. Our policies and contract ALWAYS supersedes anything HA advertises or instructs. 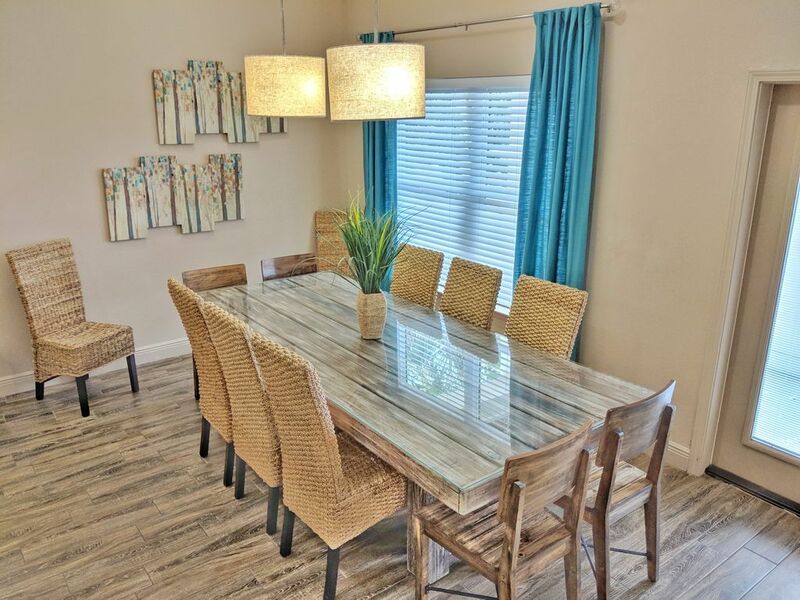 Cancellation Policy... A fee equal of 25% of the total rental rate will be charged in the case of a cancellation, transfer, or change of reservation before 47 days prior to arrival.. 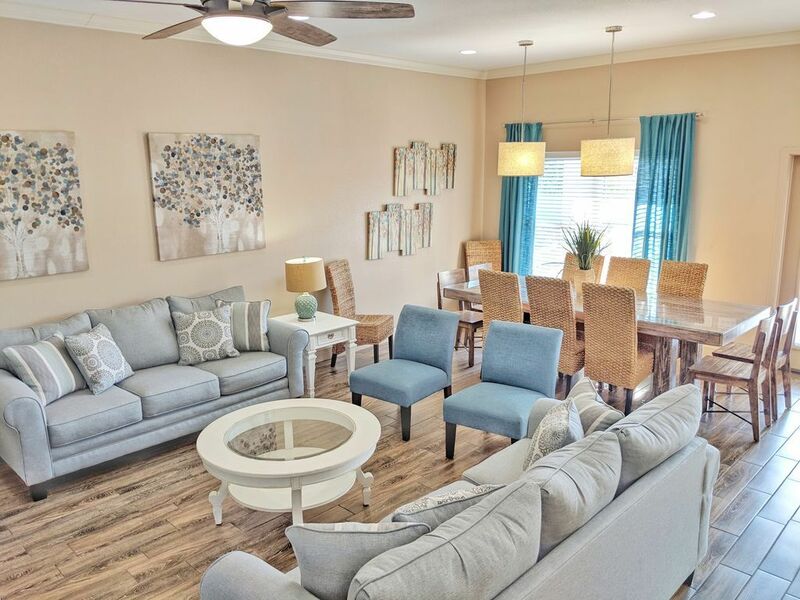 If the reservation is cancelled after the 47 days prior to the check-in date, all rental and tax money sent will be forfeited, in this event the only refund guest will warrant will be the damage deposit...We do recommend purchasing Travel Protection from Home Away. This will guarantee you a refund. If travel insurance is purchased, Owner does not honor cancellation policy, the Travel Insurance will compensate Guest. Damage Deposit Subject to increase depending on guest count. Damage deposit can range depending on the group and amount of people, $500 - $2,000. If student groups are accepted, or anyone under 25, $100 minimum damage deposit will be taken per person. 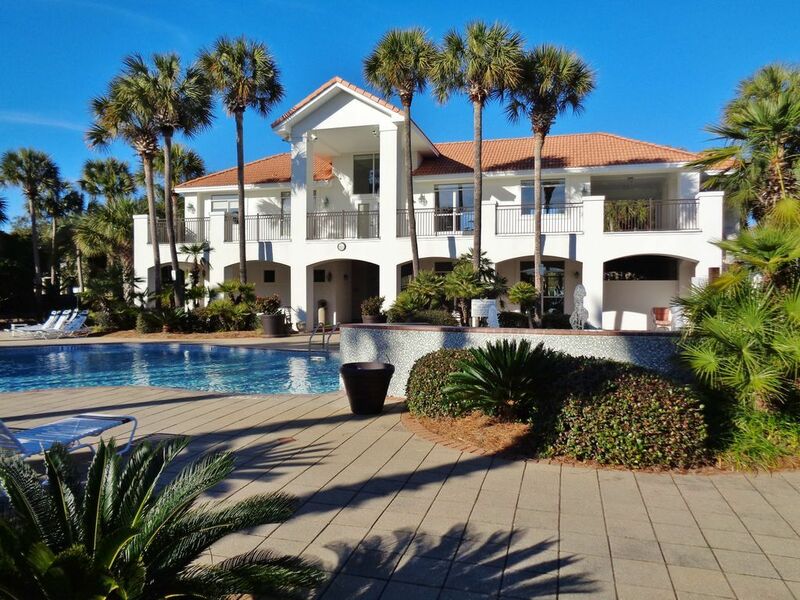 Student spring break starting at... $3,500.00. As an underage group. Please do not request to book until you make an inquiry and get approval for your group. 25% fee if canceled at least 47 days before arrival date. %100 loss if canceled after 47 days prior to arrival. 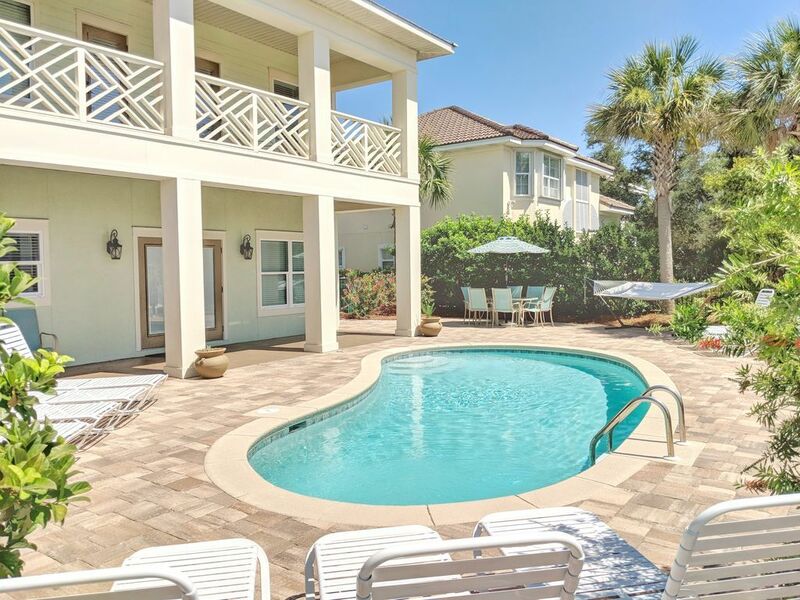 Rates include 14 guests, July 4th rate includes 16. This is the second time we stayed at this nice property. Check in was a breeze and the owners gave us all the info we needed to make our stay enjoyable and comfortable! We will definitely be back soon!! 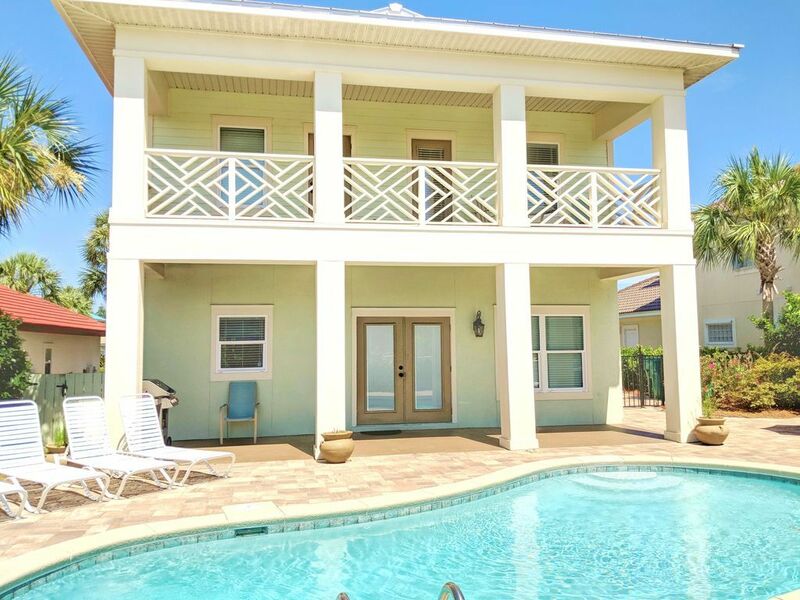 We rent two or more times per year somewhere in the Gulf Coast and this home by far is our favorite! 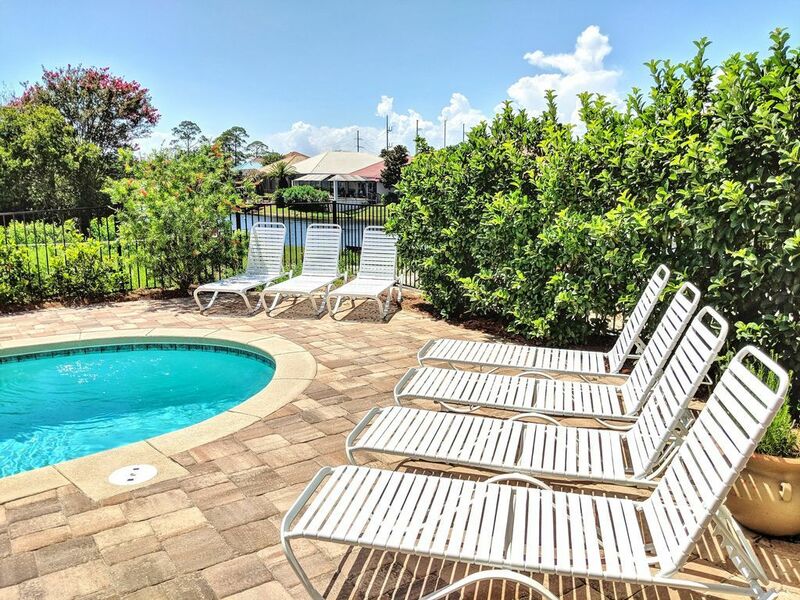 So close to a great public beach access with lots of parking, so peaceful overlooking the lake while in the pool area, and having access to all the other property amenities is a big bonus. 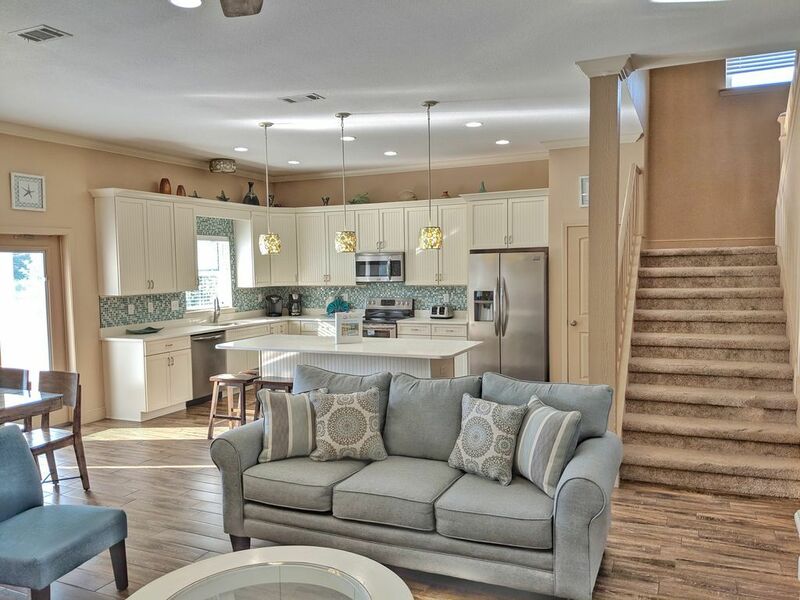 The inside of the home is just beautiful and totally updated. We will be back! 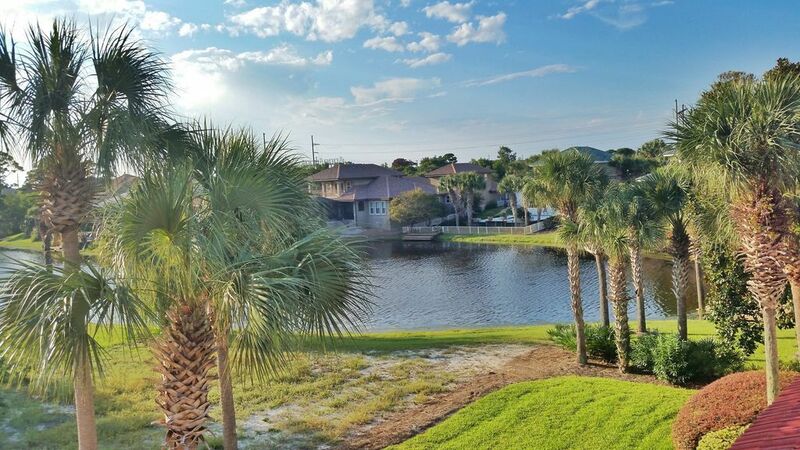 Beautiful home with plenty of room and just yards from a perfect beach. We'll be back! 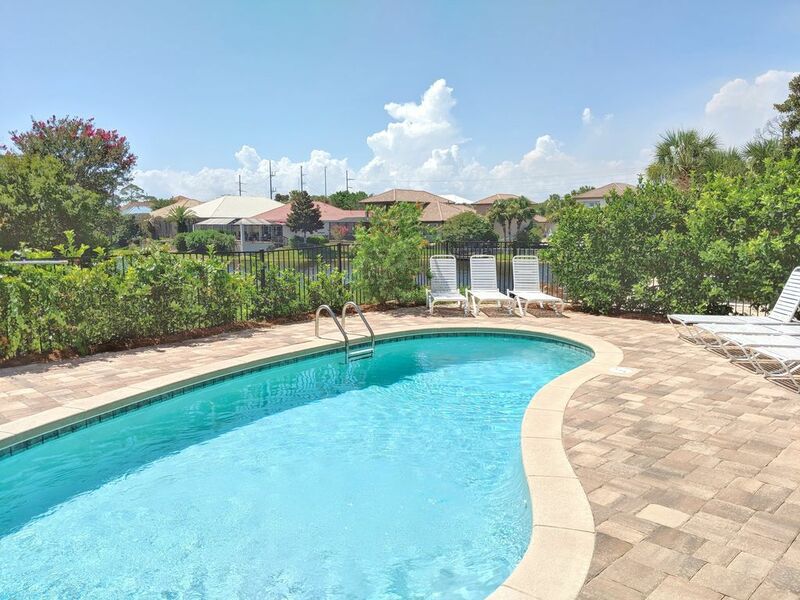 Great location- close to beautiful beaches! I stayed at this property for a family reunion. 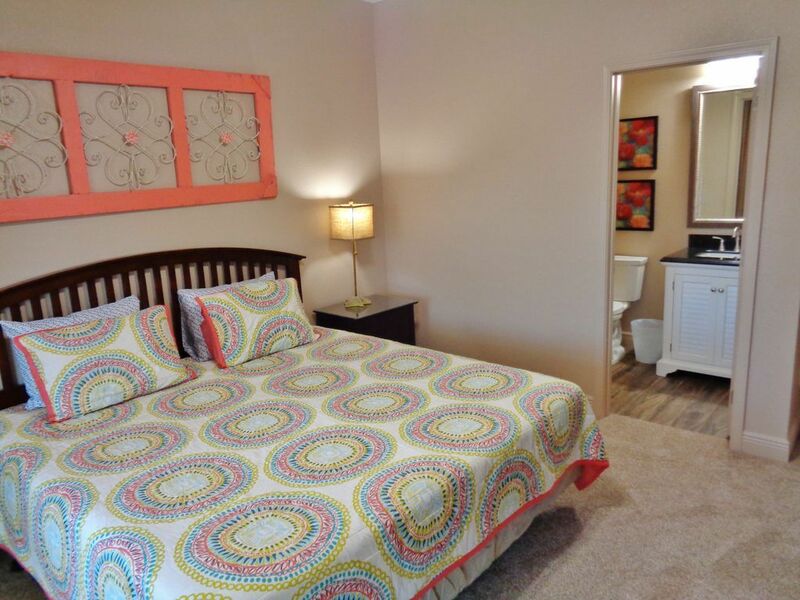 The home is large and has nice sized bedrooms with attached baths so there was room for everyone. The living area is spacious and the pool area was nice with lots of seating and shade from the balcony. The neighborhood was nice and quiet and filled with beautiful homes. It is very close to the beach and the golf cart made it easy to transport items to the gate where we could just walk across the street to the beach. It is close to shops and restaurants so the location was great. The home itself was just okay. It is a rental and it shows. There were no beach towels or any beach items besides some boogie boards that probably a former renter left behind. The house only had the bare minimum items, there was nothing extra. There were no extra blankets or pillows or towels. The bath towels were thin and in rough shape. There were no dish towels or baking pans. The furniture is getting worn. The WiFi is spotty. There is a guidebook to read upon arrival and there are A LOT of rules. We all felt like we were being scolded and threatened. Every rule had a monetary punishment with it and ended with an exclamation point. It did not feel welcoming at all. I have rented many, many homes of this size and have never seen anything like this rule book. Also, the owner asked if a/c maintenance could come and they showed up 3 hours later than expected and stayed in the house on both floors for 2 hours. It was a rude interruption of our time that should have been scheduled when the house is empty. We did not feel right leaving them alone in the home with all of our belongings so had to stay and monitor them on our vacation time. We were not happy with this lack of consideration. We all loved it and will rent it again next summer! Wonderful space for a mid sized family. Quiet, yet close to beach. Second time our family stayed here. We'll return for third! 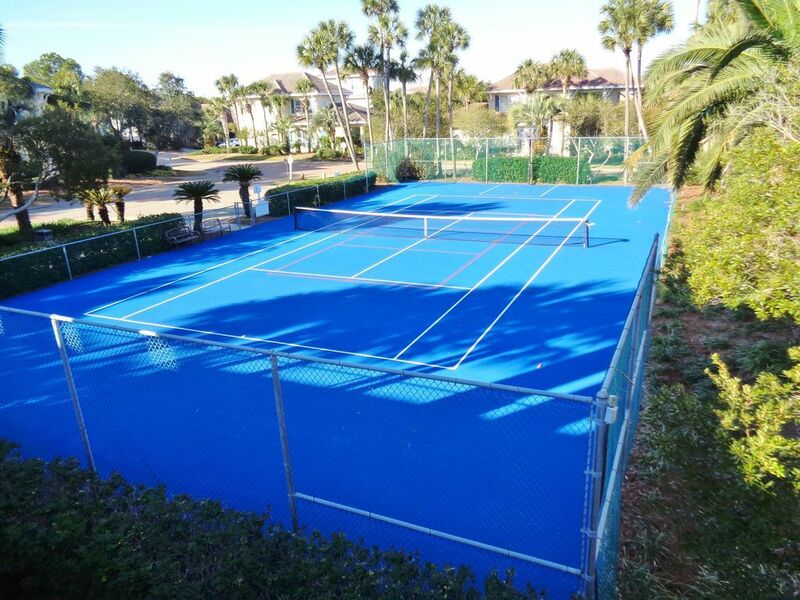 Our family of 16 (three generations) loved the amenities and location of this property. Building was comfortable and spacious, with plenty of room for every generation to "hang out" in their own desired space. Will revisit this site! 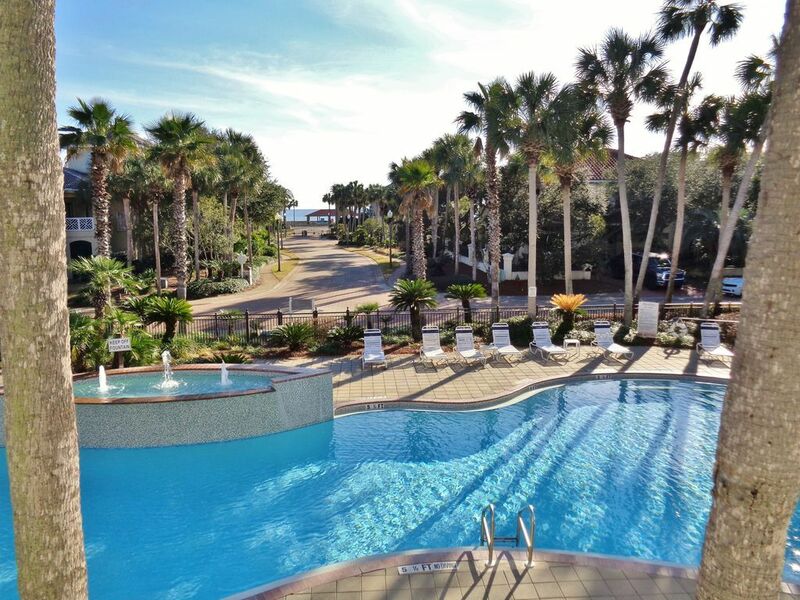 Perfect setting for family fun and relaxation. The thought crossed my mind that this might be to good to be true. Any doubt I had went away the moment we arrived. Couldn’t have asked for a more perfect setting. 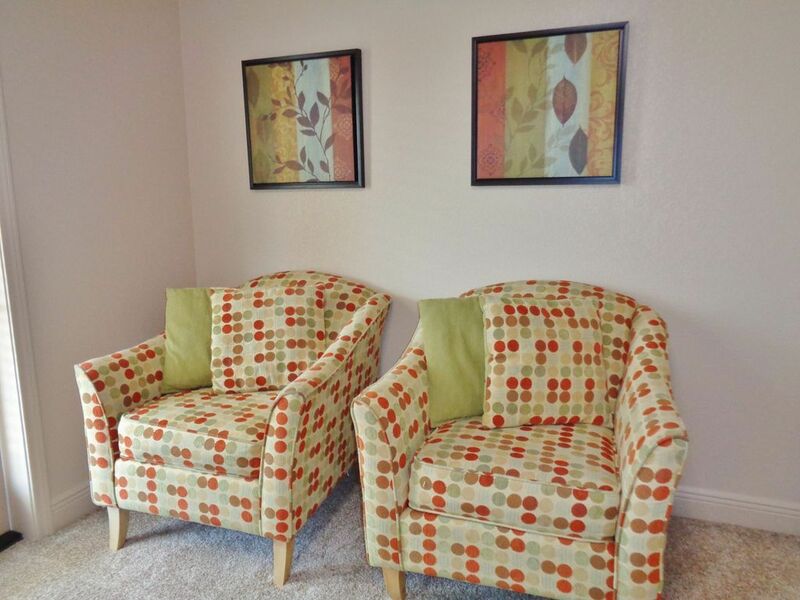 Clean and Comfortable for lots of family with varied needs and wants. Everyone had plenty of space, ease of access, amenities, well stocked, and privacy. 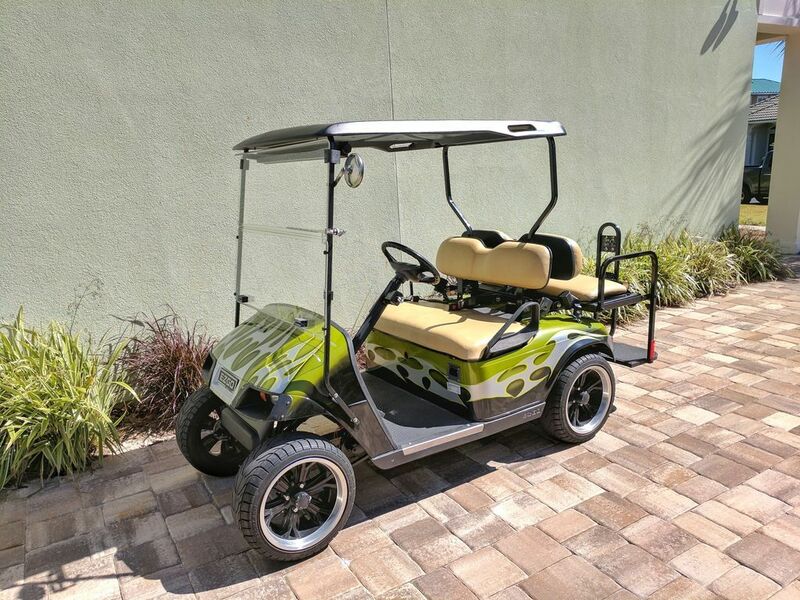 Pool was great, golf cart made a nice short ride to carry stuff to the beach. Ryan was responsive and attentive. Thanks for a memorable vacation.! The house was beautiful and the pool was very nice. The granddaughters loved it. The golf cart was awesome. We got some amazing sunset and sunrise pictures. This was the perfect home for a trip to the beach! The house was beautiful and had everything we needed and was clearly well kept. The backyard was probably our favorite part, including the pool, grill, and multiple lounge chairs. Ryan was extremely helpful throughout the whole process and answered all of our questions and got us everything we needed. The entire experience was amazing and it was an unforgettable trip! Property was very nice. We had 12 adults and we hand plenty of room and then some. Just Beautiful. Overall this was one of my favorite vacations. Me and my fiancé are getting married and this is the first full family vacation. It’s was so much fun. The home was spacious and had everything we needed. We spent most of our time enjoying the pool, cooking together at the Home and walking the short distance to the beach. Best vacation EVER!!! Everything was awesome. Our family enjoyed this house so much! 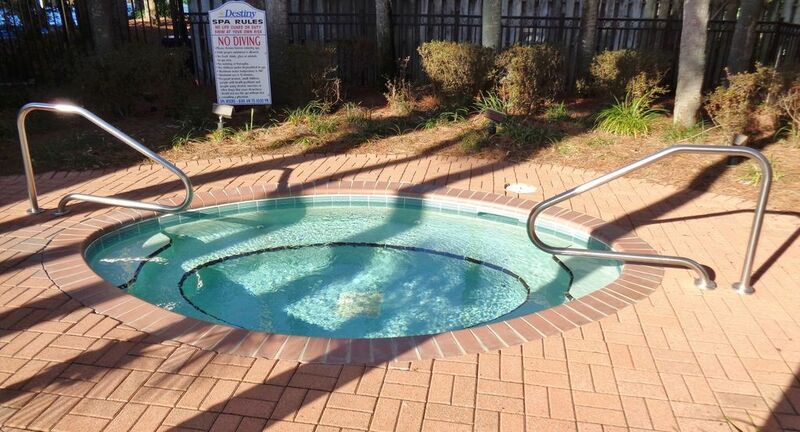 Great amenities but the private pool and the golf cart were probably the biggest hits. Will definitely rent again. Very impressive!!!!!! Loved the convience of all the necessities on site. Very clean ,lots of room very nice sibling vacation Thanks Ryan we appreciated your caring personality see you soon!!!!!! 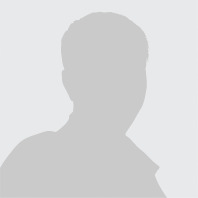 Ryan Martin 850 368-3170 Show Phone No.